Al-Shabaab, the Somalia-based Al Qaeda-affiliated armed terror group, have carried out deadly attacks in Mogadishu and elsewhere in the Horn of Africa country, beset by a two decades-long conflict. The militant group’s spokesman, Sheikh Mohamud Rageh, known as (Sheikh Ali Dheere) has threatened to stage more attacks targeting government buildings, AMISOM bases, and hotels that are frequented by government officials. On Tuesday, a truck full of explosives was detonated at the gate of the SYL hotel, which is frequented by government officials and foreign dignitaries, killing at least 25 people. Most of the dead have been confirmed to be civilians and soldiers of the presidential guards. Al Shabaab has claimed responsibility of the truck bomb attack on the SYL hotel and warned residents in Mogadishu to stay away from government bases, including the hotels they say work as government “offices’’. “All Mogadishu residents at large should bear in mind to keep away from government installations and hotels, so that they won’t be harmed during attacks against our enemy,’’ said the spokesman of Al Shabaab, Ali Dheere, while speaking to pro-militant Andalus Radio. 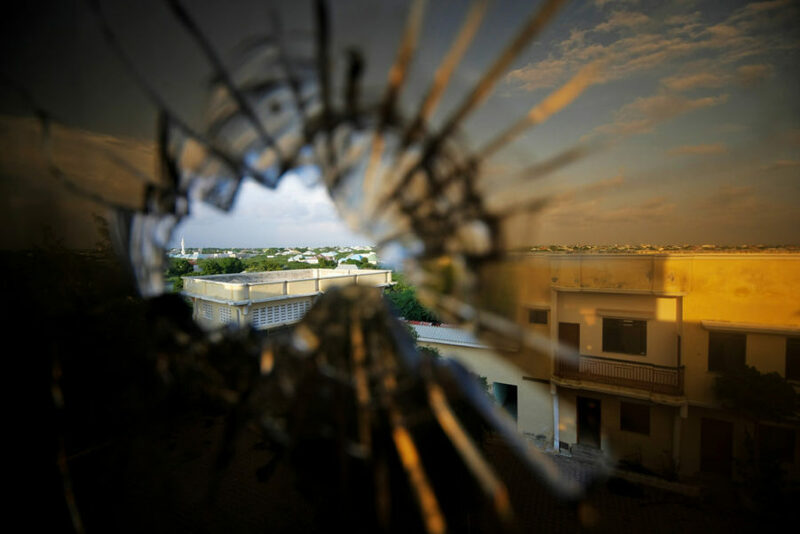 Despite Al Shabaab being driven out of Mogadishu in 2011, the militants have staged a string of assaults in their fight to overthrow the country’s internationally-backed government, led by President Hassan Sheikh Mohamoud. They have targeted hotels, the international airport, Villa Somalia, a United Nations compound, and even restaurants in a bid to discredit claims by the authorities and AU troops that they are winning the war. In most of the attacks carried out by Al Shabaab in Mogadishu, the casualties of the civilians are higher than Somalia’s federal government officials and soldiers.